Part 1: Essential Psychometrics. S. Berent, C.L. Swartz, Introduction. W. Drew Gouvier, Base Rates and Clinical Decision Making in Neuropsychology. S.H. Putnam, J.H. Rickers, S.R. Ross, J.E. Kurtz, Considering Premorbid Functioning: Beyond Cognition to a Conceptualization of Personality in Postinjury Functioning. Part 2: Practice Expertise. E.J. Rankin, R.L. Adams, The Neuropsychological Evaluation: Clinical and Scientific Foundations. L. Bieliauskas, The Measurement of Personality and Emotional Functioning. T. Kay, Interpreting Apparent Neuropsychological Deficits: What is Really Wrong? D.C. Osmon, Complexities in the Evaluation of Executive Functions. R.J. Sbordone, T.J. Guilmette, Ecological Validity: Prediction of Everyday and Vocational Functioning from Neuropsychological Test Data. J.J. Sweet, Malingering: Differential Diagnosis. J.P. Rosenfeld, J.W. Ellwanger, Cognitive Psychophysiology in Detection of Mailingered Cognitive Defecit. Part 3: Relevant Populations. R.M. Ruff, A.M. Richardson, Mild Traumatic Brain Injury. D.E. Hartman, Neuropsychology and the (Neuro) Toxic Tort. R. Lorber, H. Yurk, Special Pediatric Issues: Neuropsychological Applications and Consulations in Schools. Part 4: Parameters of the Forensic Arena. 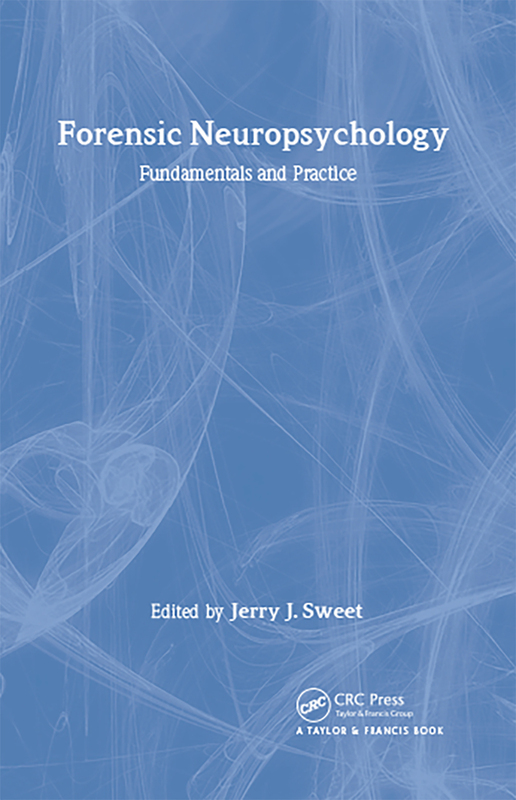 J. Sherrod Taylor, The Legal Environment Pertaining To Clinical Neuropsychology. P.R. Less-Haley, L.J. Cohen, The Neuropsychologist as Expert Witness: Toward Credible Science in the Courtroom. Conclusion. B.P. Rourke, Afterword.